The Jewel of the James, a famed pirate ship captained by the great Captain Morrow, has been sought after by treasure hunters for centuries since it’s disappearance in 1715. Your group of treasure hunters has finally tracked down the most promising lead yet, which has led you to the wreckage of what you are sure is the Jewel! Other treasure hunters are on your trail, however, so you’ll need to work quickly to figure out the puzzles and traps hidden throughout the ship in order to find the treasure and escape the wreckage! As we entered the Jewel of the James, I was highly impressed by the elaborate feeling of immersion that the design of this pirate ship provided. Highly detailed and authentic feeling, this is easily the best pirate themed set I’ve experienced yet! Set design isn’t everything, but this had me optimistic for what was to come. Alex was our game master again for this room, and his voice acting and excitement lent the room a high energy vibe that carried throughout the experience. 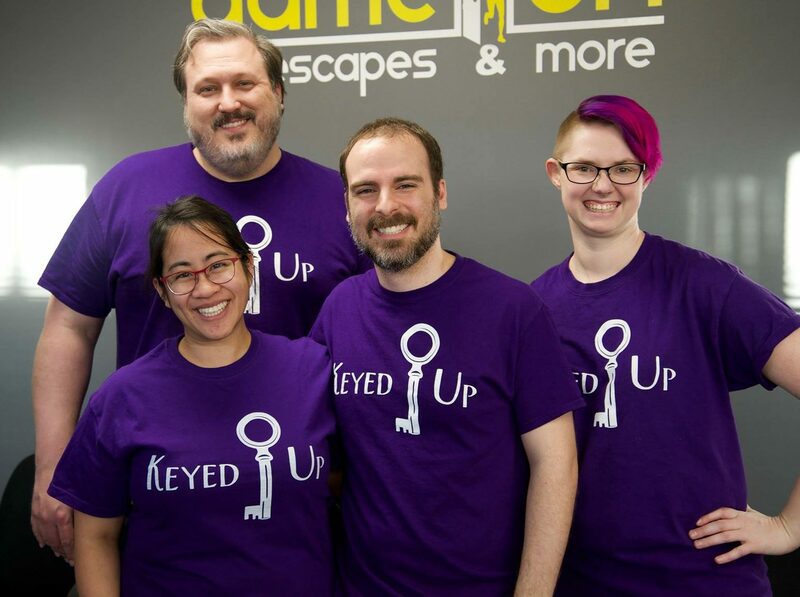 As a side note, the staff at Escape Room RVA are a delight to interact with, and were a fantastic group! Many puzzles led to greater and greater surprises, all of which were hidden expertly, revealing a much larger experience than we first imagined. The set design, other than being highly immersive, also played with the space so well that we were unable to tell where the final exit could possibly be! The game flow works like a well oiled machine, leading us around the room expertly, but holds back just enough information to deliver a wonderfully crafted challenge. Props are used in unexpected, but intuitive ways, allowing for a bevy of unique puzzles to shine. We figured out one puzzle out of sequence, as we hadn’t received the clue for it just yet, but it did not trigger as the Game Master let us know he doesn’t allow it to activate until the clue has been found. While we appreciate the effort to prevent us from getting confused by solving the puzzles out of order, this created a new sense of confusion since we had already solved the riddle. Perhaps gating the item along with the clue would eliminate both types of confusion in the future. One clue had us floundering due to an unintentional red herring, as it referenced a certain area that we came to find out we no longer needed to interact with. Lost Jewel of the James provides a highly interactive and stunningly gorgeous experience, immersing you in your own Goonies-like adventure. Providing a difficult, but fair challenge, this room is definitely one you do not want to miss if you’re in the Richmond area! Book your search for the lost jewel here! Full Disclosure: Escape Room RVA provided discounted tickets for our group.